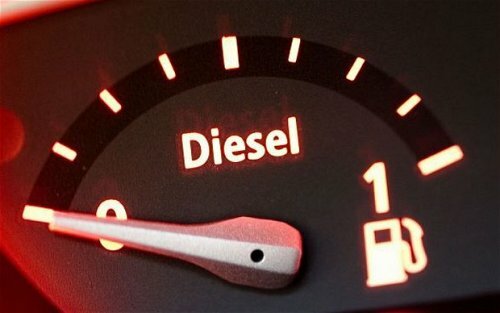 The Diesel Technology Forum has penned an open letter to Maryland Governor Martin O'Malley informing him of the unfair discrepancy in his transportation funding proposal, which would tax clean diesel vehicle owners in favor of gasoline drivers. Maryland's Governor O'Malley has proposed a new transportation funding budget that would add taxes to diesel fuel while leaving taxes on gasoline stable, which Allen Schaeffer, Executive Director of the Diesel Technology Forum, says will unfairly penalize environmentally-conscious clean diesel vehicle owners in favor of gasoline vehicle drivers. The proposal, says Schaeffer in an open letter to the governor, would not only raise prices at the pump for the 93,958 light duty clean diesel vehicle owners in Maryland at present, but would further penalize up to 280,000 of them by 2020 if diesel sales figures grow as expected. The number of current diesel vehicle owners is about 63 percent higher than the number of hybrid vehicle owners in the state. U.S. Transportation Secretary Ray LaHood said that if one third of all vehicles in the U.S.A. were clean diesel, then we'd be completely off of oil imports from Saudi Arabia, which is the majority of the oil we import from the Middle East. The open letter to the Governor was also copied to several key members of the Maryland House and Senate, including members of the Budget and Taxation Committee and Ways and Means Committee. The Diesel Technology Forum is based in Frederick, Maryland and can be found here at this link.